Peg Alford Pursell is the author of SHOW HER A FLOWER, A BIRD, A SHADOW, the 2017 INDIES Book of the Year for Literary Fiction, a collection of fiction and hybrid prose selected by Poets & Writers magazine for its second annual “5 over 50” feature. Her second collection of fiction and hybrid prose, A GIRL GOES INTO THE FOREST, is forthcoming from Dzanc Books in July 2019. Her work has been published in many journals and anthologies, including Permafrost, Joyland, and the Los Angeles Review. 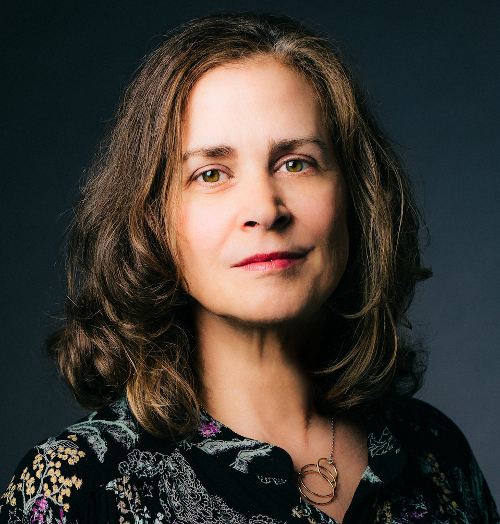 She directs Why There Are Words, a national literary reading series she founded in Sausalito in 2010, and is the director and founder of WTAW Press, an independent publisher of literary books. You can find Peg Alford Pursell on Facebook, Twitter, and Instagram. Visit her here to learn more. Our readers are in for a treat this month with your three excellent hybrid pieces, “Schematics,” “Laundry,” and “Exposed.” In “Schematics,” I feel we have the perfect hybrid, story and poetry intertwining effortlessly. I love so many lines in this piece, like: “He’s in the particles she breathes in this study, his epithelial cells, the thirty thousand scales of skin that had flaked off his body per minute. Dust, those bits of a self shed.” What is your process in writing short hybrid pieces like these? Are they cut down from longer stories? Or do they evolve from a single line or phrase? Thank you so much, Jonathan. I don’t have a particular method for writing short hybrids. Often, the genesis is the sound of a phrase that comes to me from who knows where or why, a mysterious process that I love, and runs through my head and asks to be written down. Sometimes, as in the case of the example you cited, I’m captivated by information I’ve come across, and that starts the engine turning. An arresting image can form the impetus. Occasionally, I still whittle away at longer stories to carve out a story that satisfies me, but it seems that’s less a frequent process these days. “The sun burns the morning clean”--this must be my favorite line from these stories (“Laundry”). I don’t recall who said it, but I’ve always appreciated this quote (paraphrasing): The best stories are made up of beautiful sentences. Of course, this is not necessarily true--and what do we mean by a beautiful sentence?-- but I feel that if I am arrested by a perfect sentence (maybe even just one in a story) I am satisfied by the experience. 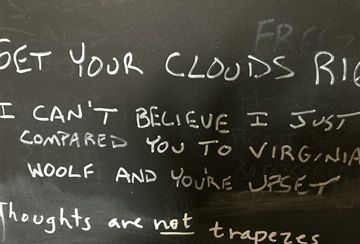 What are some of your favorite “perfect sentences” from anything you’ve read recently or from any work? Kevin McIlvoy’s newest book At the Gate of All Wonder is a wonder itself, with sentences like this: “I allowed a distance and silence in which the three of us could hear the soft tongue-blade of bee sounds and far-out-of-view vulture calls reverberate against these cavities and convexities.” Another book that’s filled with pencil lead. If any? I could fill a book with recommendations! I’ll limit myself to six authors and/or specific books. The Balloonists by Eula Biss. In October 2018, Soho Press put out a book of collected stories. Nine years ago, in January 2010, shortly after moving to CA, I founded Why There Are Words in Sausalito, where I was living at the time. This month the reading series celebrates its ninth anniversary. WTAW has now spread to seven other cities, with the newest one debuting this month in Asheville, NC. Other branches exist in NYC, LA, Portland, Austin, Pittsburgh, and New Orleans. Each branch loosely follows the mothership design: coordinators curate a panel of, usually six, readers, including a range of emerging to well-published authors, refrain from privileging one kind of esthetic over another, and constrain reading times. Some branches’ events, like Sausalito’s, take place monthly, and others are mostly quarterly. You can learn more about the reading series at www.whytherearewords.com, including how to apply for a reading. My favorite aspect of running these orgs is the satisfaction derived from helping authors get their creative work out there, whether its through the oral sharing via the reading series or through the publication of their books. With the latter, I particularly love helping authors achieve their vision for a manuscript through the editing and refining processes. Like many other writers, such as you yourself, supporting other writers in achieving their goals and dreams helps me with my own creative work. For some of us, commitment to the arts community is generative—even if sometimes we may wonder why we spend so much of our time on that community when we’re, perhaps, falling out of a healthy balance on how we’re allotting our time to our own writing. Your collection, Show Her A Flower, A Bird, A Shadow (ELJ Editions) is a perfect compilation of hybrid prose. Tell us a little about how this book came together, and what other works you have in the pipeline. “Show Her a Flower” came together over the course of several years, while I was (and still am) working on a novel. My daily writing practice results in a generous output of hybrid work, and at some point, as I began to publish individual stories or prose poems or etc., I began to see that there were certain patterns to these and realized I should try to see what might hold together, satisfyingly, in a collection. This was an exciting period of discovery, of collaging and creating sequences and determining how spaces between could construct something else and more. I was thrilled when the first publisher I sent the ms to, ELJ Editions (a publisher that had brought out books from friends and writers whose work I admired), accepted it for publication, and eventually put it out in the world; I was less thrilled when less than three weeks later the publisher informed me that she was closing the business. I’ve spoken about that elsewhere, here for example, (https://bloom-site.com/2018/04/10/hybridity-compression-shimmer-q-a-with-peg-alford-pursell), so no need to go into all that now. Suffice to say, I was delighted that the book won the 2017 Indies Book of the Year for Literary Fiction, and was selected by Poets & Writers magazine for its 5 over 50 feature, and awarded several other honorable mentions. 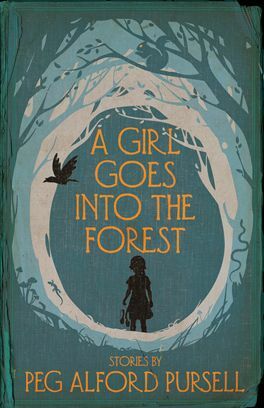 My next book, A GIRL GOES INTO THE FOREST, is being published this summer by Dzanc Books, and I couldn’t be more excited. A collection of hybrid prose with traditionally-lengthed stories intermixed, the book is arranged in nine sections, each introduced by a line from Hans Christian Andersen’s “The Snow Queen,” for example: “how far she has come in the wide world since she started out in her naked feet” and “she only dabbled in magic to amuse herself” and “he tried to say his prayers but all he could remember were his multiplication tables.” It so happens that “Schematics,” “Laundry,” and “Exposed” are included in “A Girl Goes”—in the section “she kept on smiling and he began to be afraid that he did not know as much as he thought he did.” I can’t talk about the book without mentioned the amazing cover, designed by creative genius Matthew Revert. There’s the aforementioned novel, approximately 12 years (and counting) in the making, and almost ready to go novel told in flash, Blow the House Down, which has been in process about 5 years. Finally, two of your favorite authors (living or dead) meet for dinner and conversation one night. What do they eat and drink? What do they talk about? I have always loved Virginia Woolf, after coming upon her essay “A Room of One’s Own” when I was in eighth grade. At the time, I was drawn to the essay because I shared a bedroom with my sister and decidedly didn’t enjoy the shared quarters. From the essay, these famous words: “A good dinner is of great importance to good talk. One cannot think well, love well, sleep well, if one has not dined well.” Yet, as Hermione Lee noted in her biography of Woolf, the author had great difficulty eating. Sometime in the very early 90s, I became obsessed with Franz Kafka, going so far as to sign my checks as Mrs. Franz Kafka at the Art Bar in South Carolina. (The checks, written for absurd amounts such as $7.50, were always cashed.) The obsession began when I read a book by the English psychiatrist Anthony Storr about Kafka’s sense of identity and anxiety (among other famous people such as Isaac Newton and C.G. Jung). I was fascinated by Storr’s description of Kafka’s anxiety in the presence of others, self-effacement extreme to the point that “Once, when visiting Max Brod, he woke up the latter’s father. Instead of apologizing, he said, in an indescribably gentle way, raising his hand as if to calm him and walking softly on tiptoe through the room, ‘Please look on me as a dream.’” According to Storr’s book, Kafka was a vegetarian, drank no alcohol, tea, or coffee. In The Bloomsbury Cookbook: Recipes for Life, Love, and Art, a book I received for a gift one year, the author writes: “In her novels, Virginia Woolf often employed ‘the dinner party’ situation to bring her characters together and to expose social inequalities; food can be used to influence and to manipulate.” It seems only fitting that I would host a dinner party for Virginia Woolf and Frank Kafka in my home. Bonus: this would an inexpensive dinner indeed, considering that both Woolf and Kafka ate so little. (And right, they’re dead.) It also seems only fitting that I’d serve ghost sauce, cloud bread (if you’ve never heard of it, you’ve obviously never been subjected to the keto diet), angel food cake, ambrosia, and nectar. The conversation is the real reason that I’d have to host them for dinner at my house, so I could learn the important secrets of the afterlife. What modes do they now use for writing: some sort of teleporting into the minds of others extant on the planet, and if so, whom—and more significantly, how might I bribe them into teleporting their words to me? More nectar, Mr. Kafka, Ms. Woolf? Thanks so much, Peg, for joining us this month at Connotation Press! A complete pleasure, Jonathan. Thank you for inviting me. Sun burns the morning clean. It will be a long time until dirty night comes around; twelve hours is half a day, half one rotation of the sun. In science class all those years ago, the boy couldn’t keep straight the definitions, confusing rotation with revolution—why shouldn’t the planet make it around the sun in a day? He was the kind of boy who slid into his desk seat just as the bell ended, as if he’d stolen third base, grinning at his deft rapidity, alacrity— words neither of us knew then, words only one of us knows now. The boy is dead; that is, the man he became. The day will turn slowly with the accruing details of the searing news, images of the accident: crushed bones, blood darkening the earth, something torn loose. Hushed voices, heat lying heavy on the breathing skin. The air in the bedroom close, the closet holding his worn clothes. Half the turn on the axis until darkness. Each day will have to begin again. After the housekeeper leaves, she immediately checks the photograph of her grandmother that sits on the sofa table in the shining empty silence. Though she’s spoken to the housekeeper several times about it, still the woman is careless with the old picture, its rickety wooden frame, the sepia photo long ago adhered to the glass. As some detect the ghosts of disapproving ancestors, she senses her grandmother’s presence in the house, a place her grandmother never visited. In life, her grandmother both approved and disapproved of her, of the way she rushed headlong into experiences. The way she wanted to know what lay underneath. The way she was drawn to the shadows formed under fallen leaves. Her grandmother warned her, you can’t live with a man and not be lonely. Her grandmother had been taken in herself, by the poetry on her grandfather’s tongue. When she said this, her eyes filled with a piquant sadness, the kind that comes with the knowledge that nothing good can ever last. Even at the end, in her hospital bed, her faded green eyes bore that understanding. Keep going anyhow, her grandmother seemed to say, a papery hand cool on hers. Isn’t that the message of the photograph on the table, the picture she’s moved from house to house—some houses shared with a man, some not. No longer pushing at the edges of life trying to turn up anything. She protects the photo as she can, a picture that was never meant to be kept in a drawer. A picture that must live in the burn of the air, subject to sunlight, exposed. Each night before sleep she tells herself the next day will be different. In the morning she’ll go down the hallway, turn the old glass doorknob in her hand—her left, to give her dominant right-handed mind notice—and enter the silent room, window shades drawn, the light opaque and indifferent to her presence. She’ll sit in the solid oak chair, roll it forward on brass caster wheels to the desk, place her hands on the desktop that holds texts, papers, a canister of pens, the desiccated philodendron, its heart leaves brown and rigid. His laptop is set to the side, a film of dust on its closed lid. He’s in the particles she breathes in this study, his epithelial cells, the thirty thousand scales of skin that had flaked off his body per minute. Dust, those bits of a self shed. The science of sadness, oh there are theories. Therapies, drugs. No one really knows anything, he used to say cheerfully, glad to arrive home after a lengthy conference—all those weighty papers presented, the heady conversations and disquietudes, networking over meals of lamb and vegetarian options. He loved this belief of his, the dismissal, the mystery: no one knows. The pathways of her brain cells remember his words. Recall his expressions: a raised eyebrow, how his lips turned down when he smiled. His gestures: arms raised, hands spread as if to allow sunlight to pool in the palms. The gentle way he placed a hand on her lower back when they stood together at a party, the not so gentle way he grasped her hips, pressing himself to her on the bed. So go her neurons, making plans for another tomorrow, one that she must believe will come.